Healthy dogs don’t have coats that are not flaky, smelly or are constantly trying to scratch at their fur. If your dog is biting or scratching at his fur, this is a strong sign that something is not right. Now, no need to jump to conclusions, we are sure your dog is just fine. In most cases, a scratching dog can find relief with a bath, preferably an oatmeal bath. Lucky for you, in addition to being a hotel for dogs and offering doggy day care and boarding in Long Island, we also offer oatmeal baths. If your dog scratches too much, he could be suffering any number of conditions. For example, he could be having an allergic reaction or suffering from an overgrowth of yeast. If you cannot pinpoint the cause of the itching, you need to pay a visit to your vet. Common sense should dictate that you need to keep your dog’s coat clean to keep it at optimal health. 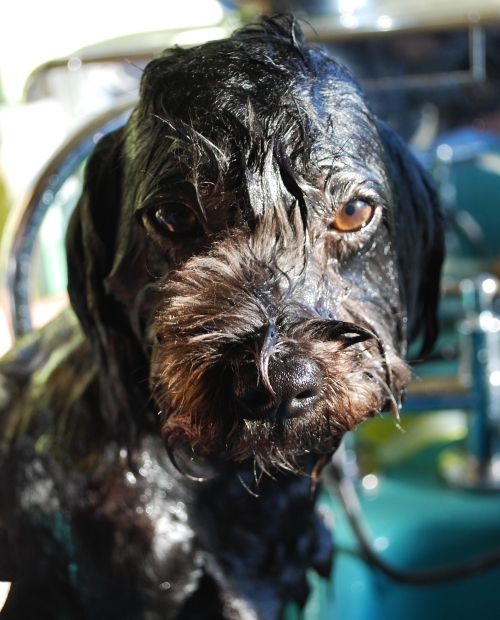 But we know all too well that it can be time-consuming and messy having to wash Fido. Besides, working families with kids have more important things that keep them very busy. But instead of just brushing this task aside, do the right thing and bring Fido in for an oatmeal bath. Not only will you enjoy peace of mind knowing that Fido is getting a treatment that will help him maintain a healthy coat, he will enjoy the attention he gets while at our facility. So go ahead and give us a call, we are waiting.